With the amount of information we consume every day, it’s no wonder we prefer visuals to dense text. This is important to take into consideration when you’re sharing your marketing plans with your team and fellow employees. They don’t want to read through pages of text or listen to you explain complex concepts for hours (and they probably won’t). They want something concise that will deliver the information they need quickly. And they want something easy to reference in the future. That’s where diagramming comes in. You can use a variety of fun diagrams to visually represent your team’s processes, strategies, and workflow. 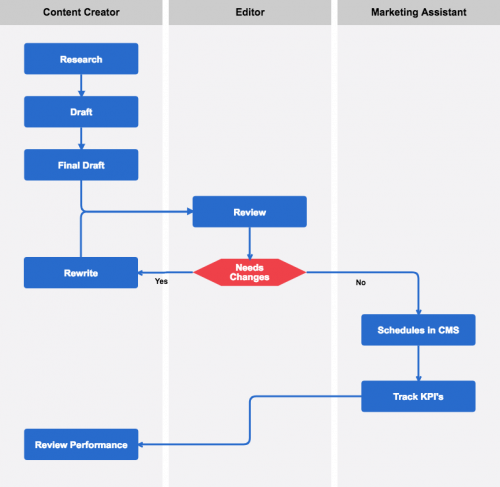 Flowcharts are the perfect diagram for illustrating any process your team follows. From writing content to managing outside requests, outlining your team’s processes lets others know what to expect and prevents your team from overlooking details. 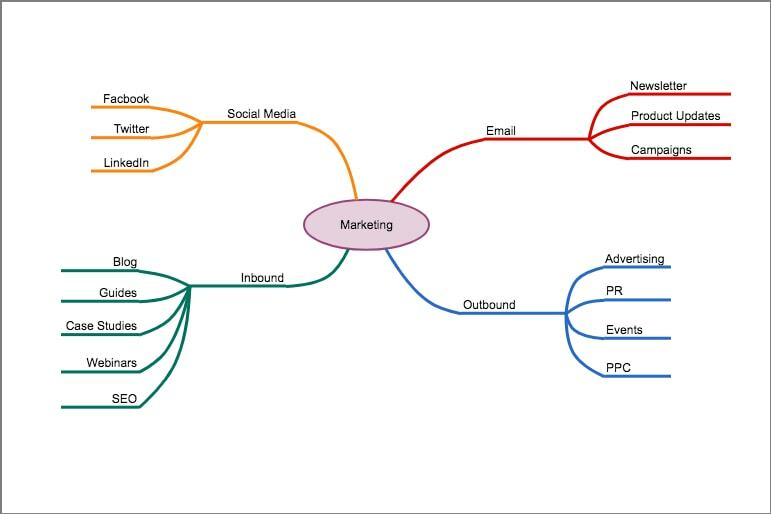 Mindmaps are perfect for brainstorming new ideas and breaking down your strategy into more detailed initiatives. Oftentimes when we tease things out in a mind map, we discover things we might never have realized. Perhaps there’s a major gap in your strategy, or you’ve committed to so much that you need to hire a new person. Visualizing your strategy is a great way to make sure you’re prioritizing the right things. Visualizing your strategy is a great way to make sure you’re prioritizing the right things. Org charts help people understand the structure of your team. For internal purposes, this is pretty important. It helps your team understand how they’re supposed to work together, and it lets other teams know who to go to for particular requests. Gantt charts are a visual way to represent the schedule you expect to follow for a campaign or initiative. They can be as detailed or broad as you’d like. The point is to convey both your timeline and your process, so all teams know what to expect if they’re to be involved. 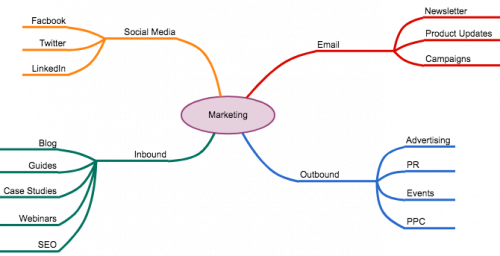 Diagrams can do more than just illustrate what your marketing team does, they can help your team make crucial decisions. Use them to conduct a SWOT Analysis, compare and contrast options with a Venn diagram, or define your sales funnel. There’s a whole world of diagrams ready to explore if you have the right online tool to do it. Your leadership team will appreciate your commitment to transparency, and other teams will appreciate how easy it is to find the answers they need.